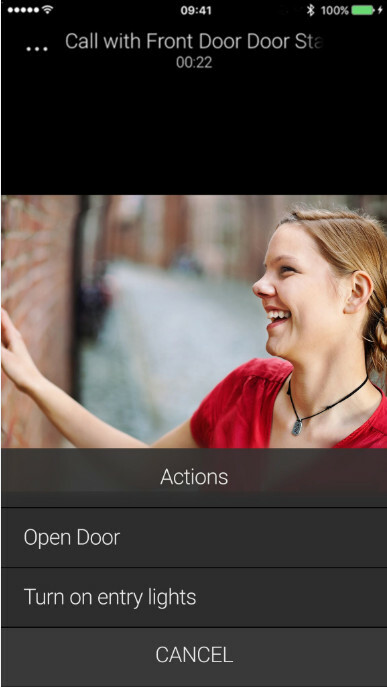 Unlike typical smart doorbells, Control4's Intercom Anywhere ecosystem allows users to activate home automation scenes directly through the app, and communicate across Control4 touchscreens, video door stations and mobile apps. Control4's Intercom Anywhere provides one unified interface for touchscreens, video door stations and mobile phones, allowing family members to communicate with each other and with visitors wherever they are. Automation scenes can be activated from within the UI. Like most good IP video door stations, Control4’s new Intercom Anywhere lets users communicate with a visitor from anywhere in the world. 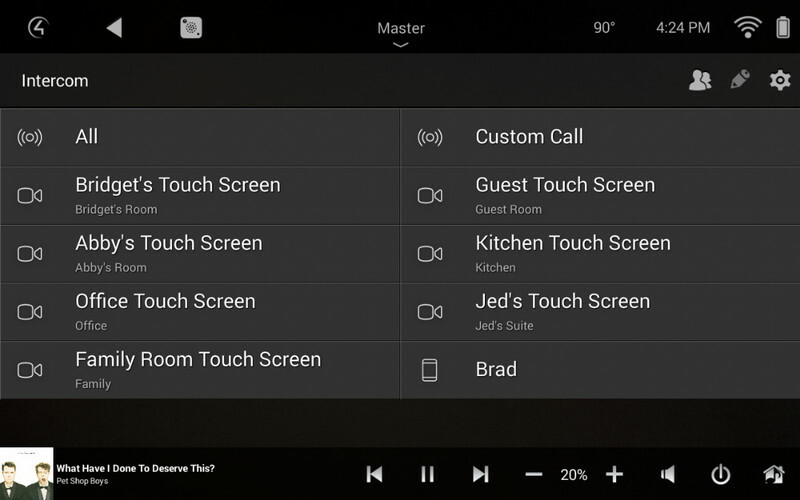 But Control4 (Nasdaq: CTRL) adds a layer of home automation to its new application, allowing users to activate smart-home scenes – like turning on the lights or unlocking the door – from within the intercom app. 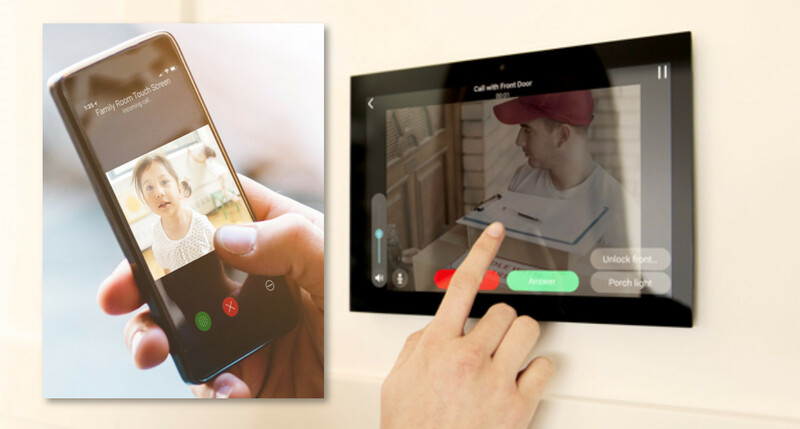 In addition, users can enjoy a complete video-intercom experience using Control4’s DS2 video door stations, indoor touchscreens and the users’ own smart phones. They all work in concert, no matter their locations. Control4 chairman and CEO Martin Plaehn says Intercom Anywhere "elevates the smart doorbell” by unifying access control, video surveillance, security and interactive communication. All family members can be notified of activity at the front door, allowing the right person to respond, no matter where they are. Beyond the security applications, Intercom Anywhere enables new ways of communicating among family members. 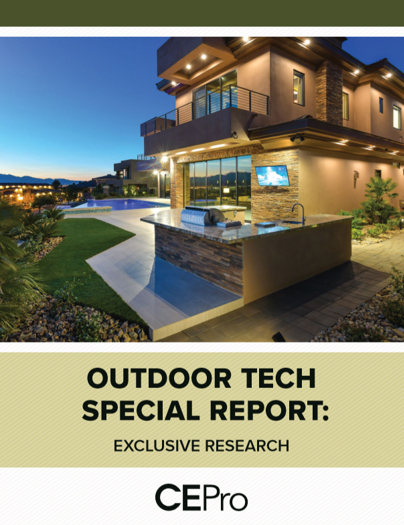 They can dial into the home’s touchscreens via mobile phone … and vice versa. All family members can be notified of activity at the front door, allowing the right person to respond, no matter where they are, inside or outside of the home. “Use Intercom Anywhere to dial directly to any or all Control4 Touch Screens for a video-call to get connected, fast,” the company explains. 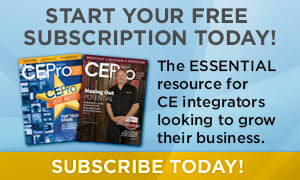 Control4’s Brad Hintze tells CE Pro that the Intercom Anywhere only works with the company’s own DS2 door stations, but the plan is to support third-party door stations in the future. Control4's last major intercom update came in 2015 with OS 2.7. Control4's door station makes normal people ridiculously happy. Open the door straight from the app. 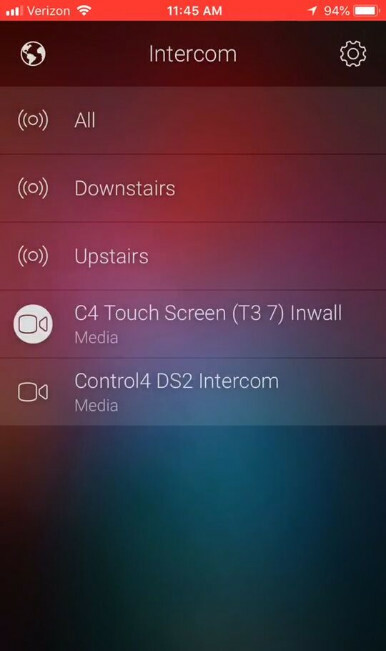 Control4's Intercom Anywhere on a smart phone. Thank you for the comment, Fins. If all we wrote about was brand new concepts or implementations, we wouldn’t have much content. Dealers prefer different vendors for a variety of reasons. Control4 dealers (and customers) are excited to have this feature, just as Savant dealers are excited to have a new cloud platform. Yeah, that’s cool stuff too. But my point is, the intercom anywhere is not a new concept. Elan has been doing it for a couple years. In fact, everything that Plaehn bragged about has already been done by Elan.